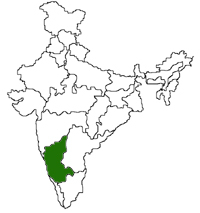 Karnataka is the eighth largest state in India by area and the ninth largest by population. It was formerly known as Mysore. On November 1,1973, the name Mysore was changed to Karnataka. Karnataka lies between 74o and 78o East longitudes and 11o and 18o North latitudes. 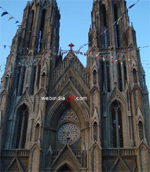 It is situated on the western edge of the Deccan plateau and is surrounded by Maharashtra and Goa in the north, Andhra Pradesh in the east, and Tamil Nadu and Kerala in the south. On the west, it opens out on the Arabian Sea.The state has an equable climate particularly in those areas which are hilly or a high plateau. Climate is the chief attraction of the capital city, Bangalore. 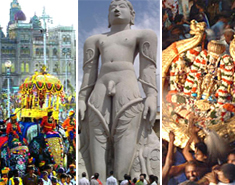 Karnataka, adorned with several ancient temples and rich cultural heritage celebrate various colourful fairs and festivals. Every town, city and village in the state has their own calendar with fascinating fairs and festivals. Once Known as Mysore State, Karnataka has a finely balanced mix of natural attractions and superb historic architecture. ..
Karnataka has shared the general musical culture of peninsular India from the earliest times. South Indian music is generally known as 'Karnatic music' because of its common features.More..
Music is a universal art apt to transcend national boundaries. .
Karnataka is the eighth largest state in India by area and the ninth largest by population. It was formerly known as Mysore. On November 1,1973, the name Mysore was changed to Karnataka. 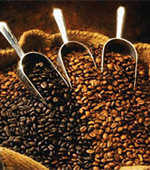 The main crops are rice, ragi, jowar, maize, and pulses besides oilseeds and number of cash crops. 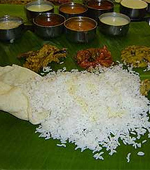 The cuisine of Karnataka is quite varied with each region of the state having its own unique flavours. ..